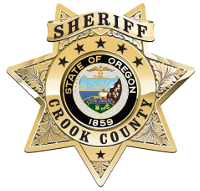 Crook County, Prineville Police Department and Crook County Fire & Rescue in partnership with Crook County 911 have implemented a state-of-the-art emergency notification system to alert residents about emergencies and other important community news. The emergency notification system, powered by Everbridge, enables the Emergency Service Agencies to provide essential information quickly in a variety of situations. The system uses listed phone numbers, and you may also enter additional ways of contacting you such as mobile phones, business phones, and email. Crook County Emergency Service Agencies respects your privacy. All information you provide will be kept strictly confidential and is fully protected. How Do Emergency Alerts Work? The process begins when the Emergency Operations Center issues a message about a potential safety hazard or concern. Messages will be sent to all standard voice and text communication devices, including land line phones, mobile phones, e-mail, and more. If you don’t confirm receipt of the message, the system will try to reach your second contact number or email address. NOTE: The system will continue trying to contact you until it receives a confirmation from you. Please confirm as directed. There are multiple ways to sign up for the Alert Crook County emergency notification system. Residents, businesses, and neighbors with listed telephone numbers have already been included in the system. Add your contact information to the emergency notification system. Residents and businesses with listed telephone numbers have already been included in the system. You may use the registration link to include additional ways to contact you. All information you provide will be kept strictly confidential. Notice: By opting out of the system, you will no longer receive emergency or town notifications.